'Failure modes': Why aren't student-teacher relationships banned at UBC? Should a professor be allowed to date their students? Despite receiving media attention in 2016 and 2018, UBC policy concerning faculty-student relationships remains unchanged and, for the most part, unspoken of. 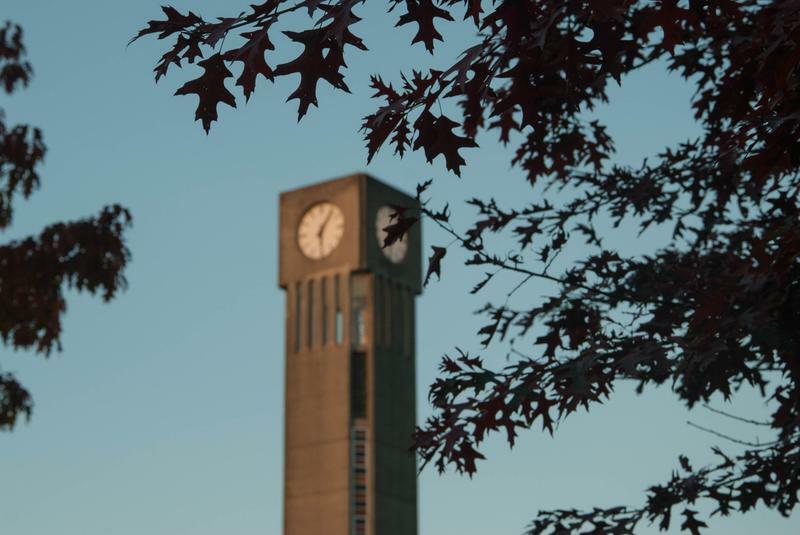 “The rules at the moment are being governed by two sets of things, mostly covering what happens when things go wrong,” said Dr. Mark Mac Lean, undergraduate chair of mathematics and former president of the UBC Faculty Association. Currently, UBC doesn’t prohibit romantic relationships between students and faculty, and there is no specific policy that regulates such relationships. If a student and professor had a relationship for outside gain, it would be mediated using the Conflict of Interest policy. In the worst of cases, Policy 131 — UBC’s sexual misconduct policy — could also be applied. Mac Lean says student-teacher relations should be given more attention by UBC — not necessarily because he believes that a complete ban should be introduced, but because it deserves a conversation. “Conversations are always the right place to start,” said law professor Dr. Margot Young, who sat on the Policy 131 steering committee. Young says faculty-student relationships are often “presumptively problematic” because of the power professors hold over students, as well as differences in age and gender that are often factors in these relationships. “Power can distort the possibility to get the kind of consent that legitimates the relationship,” she explained. Why don’t we have it already? The lack of any cohesive policy on faculty-student relationships has posed serious problems for the school and its community in the past. In June 2016, UBC fired creative writing Chair Steven Galloway amidst allegations of sexual misconduct and reports that he had an affair with a student. The reasons for his termination were “unclear” at the time, and UBC declined to elaborate on his termination. It later came to light that the student accused Galloway of sexual assault. In August 2018, the main complainant’s lawyer published an open letter demanding that the university introduces a policy to prohibit intimate relationships between faculty and students. UBC did not seriously consider implementing a ban, but the school amended the conflict of interest policy in the same month, requiring faculty to identify and describe the “nature and circumstances” of any personal relationship they might have with a student or employee they supervise. “The question was added to the declaration form so that potential conflicts could be identified and managed appropriately on a case-by-case basis,” said UBC Counsel Hubert Lai in a written statement to The Ubyssey. Lai acknowledged that the risk of a conflict of interest is significantly higher when a faculty member has a personal relationship with a student or employee that they supervise. The addition of this new question on the form was added to “elicit this information from faculty members,” which would then be evaluated by their department heads. “Faculty members should not grade or supervise a student with whom they have a personal relationship. If this policy is violated, a faculty member may face disciplinary measures,” Lai wrote. But some faculty, like Mac Lean, worry that this might not be the best reference point to fall back on. “Relationships are more than conflicts of interest,” he said. While the Conflict of Interest form only requires faculty to submit potential conflicts with students in the same faculty, Mac Lean stressed that power imbalances can arise even if there is no professional supervision involved. So why hasn’t a policy been implemented? Mac Lean says the lack of any serious conversation has often been the result of the lack of a champion to carry the issue forward. “I think there needs to be a champion to start that discussion, either in faculty, in the administration or from the student perspective,” said Young. AMS VP Administration and University Affairs Max Holmes said that within the context of Policy 131, the society has advocated for survivor-centric support and protection for students against abuse their power. “From the AMS perspective, we are always looking as much as possible at how we can advocate to support students and to make sure that they aren't put into uncomfortable or unsafe positions,” he said. While no Canadian cases of a university-wide ban exist, certain American universities — like Harvard and Yale — have instituted written policies banning intimate relationships between faculty and undergraduate students. Young and Mac Lean also mentioned that it is important to consider the nuances within the broader term of a faculty-student relationship, since there are often contextual variations in what these relationships encompass. For instance, Mac Lean said that distinctions might need to be made between undergraduate and graduate students, who fall into different age groups and have different relationship dynamics with faculty. More severe situations are dealt with using Policy 131, which guides UBC’s response to cases of sexual misconduct on campus. “But that's reading the policy contextually and broadly, in terms of the circumstances of an individual case,” she added. Policy 131 is slated to be reviewed in September 2019. According to Holmes, this will be an opportunity to hold a conversation around the issue of faculty-student relationships. “Whenever policies are reviewed, it's very important to look at all of the issues that affect the policy,” Holmes mentioned. “This is one of the obvious areas, where the conflict of interest policy is the one used to address it, but does it really directly address it and does it do enough? Update, Feb 8 11:25 a.m.: This story has been updated to make it clear that the public learned that Galloway was accused of sexual misconduct after his suspension.